This MODERN APARTMENT with ONE DOUBLE BEDROOM has recently been refurbished to a high standard. 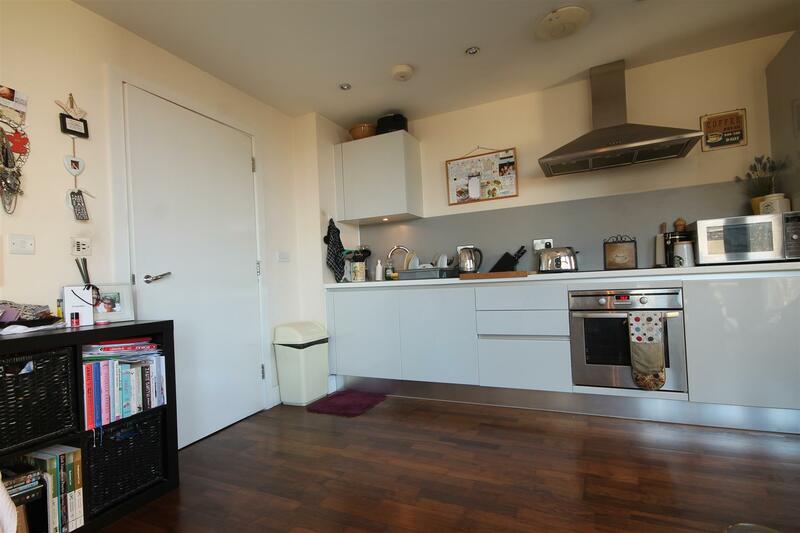 Tastefully decorated throughout, it is ideal for a professional or student looking to experience City Centre living. The open plan lounge will be furnished with a sofa and comfy chair. Alongside the lounge is the kitchen which has a range of white units to the wall and base, as well as a gas hob with electric oven, fridge freezer and washing machine. The bedroom is located to the front of the property and has built in storage. The bathroom is fully tiled and benefits from a bath with electric shower over, pedestal wash hand basin, WC and heated towel rail. There is ample storage in this apartment with two storage cupboards in the hallway and one in the lounge. The property is gas centrally heated with double glazing throughout. The gas and electricity are on a key meter system. Externally there is parking via permit (resident and visitor). Admin fee is £343.80 inc VAT and deposit is £573.00 per person based on 1 Tenant(s) but may vary depending on negotiations.